Every year, more and more riders are starting to enjoy the sport of longboarding, both as an adventurous new hobby and a great way to travel. With a growing number of people stepping on a longboard for the first time each year, the top longboard companies are designing more and more longboards for beginners. While the features that make up the best beginner longboard are essentially quite similar to those that make up any great longboard, there are several specific factors to consider if you are looking for a longboard to get you started in the sport. In this guide, we’ll look at what goes into a great beginner longboards, as well as a review of some of the best longboards for beginners on the market today. The Quest Super Cruiser is a beautifully designed artisan bamboo longboard that rides incredibly smooth, especially for a longboard in its price range. Its kicktail design will be familiar to those who already have experience with skateboards, making the transition to longboarding much more natural, and the Super Cruiser’s durable wheels, trucks, bearings and deck are built to handle the mistakes of someone just learning how to ride. The Super Cruiser has a number of reviews written by people who have just begun longboarding, with most all of them stating they couldn’t have picked a better longboard to start out with. Top all of that off with attractive graphics and a gorgeously polished sheen and it is easy to understand why the Super Cruiser is one of the top selling longboards available today. There is something very appealing about a pintail longboard. It’s the classical deck shape, one of the first to come onto the scene, and there’s a reason that its maintained its popularity for so long. As far as a beginner longboard goes, the control and affordability of a pintail longboard is hard to beat, and the Quest Tribes Pin Kick Tail is one of the best pintail boards you can find. Designed with durability in mind, the Pin Kick Tail features rugged aluminum trucks, wheel wells to prevent the wheels from biting into the wood, and a cold climate, all hardwood maple deck. The excellent durability, affordability, and riding performance of the Pin Kick Tail make it a great board for beginners to consider. As mentioned, one of the best, most versatile deck shapes for someone looking to explore and discover their own riding style is the freestyle longboard. Of all the freestyle longboards, the Krown Rasta Freestyle Elite is one of the best, especially for beginners. Its low price tag and durable construction alone make it worthy of a purchase, however, it is the way that the Rasta Freestyle Elite rides that really sets it apart. With a great set of wheels, bearings, and a nice, stable deck, the Rasta Freestyle Elite rides and turns like a dream. Along with this, the colorful lion artwork makes the Rasta Freestyle Elite stand out in the crowd. The Sector 9 Lookout may have a little larger price tag than many of the top beginner longboards, but the level at which it performs makes it well worth splurging a little. The Lookout is made using a laminated bamboo deck and CNC drop-through mounting. This style of mounting makes the board ultra-stable at high speeds and especially well-suited for long distance riding. Its authentic Sector 9 components are all top-of-the-line in terms of performance and durability, making the Lookout a longboard that not only rides excellently but is also built to last. If you are looking for a top-quality beginner longboard made by one of the most respected brands in the industry, the Sector 9 Lookout is the choice for you. Atom is a company that is renowned for making excellent beginner longboards, and of these, the Pintail is one of the best. Its light weight and maximum durability make it optimum for beginner riders. Even more important than this, however, is how smoothly the Pintail rides. Pintail shaped longboards are naturally easy to turn, and a board such as the Atom Pintail that is equipped with great wheels and bearings is even easier to maneuver, making it ideal for those with less riding experience. To complete the package, the Atom Pintail comes embellished with beautiful artwork on its maple laminate deck. Another great Atom longboard, the Bamboo Drop-Through is an excellent choice for those wanting the stability that a drop-through deck style provides. Whether you plan to be traveling at higher speeds or plan to go on longer distance rides, the stability of a good drop-through longboard is a very nice bonus. Along with being stable, the Atom Bamboo Drop-Through comes equipped with a number of other features that make it well-suited for beginners such as a course 46 grit grip tape for maximum traction, ABEC 9 bearings with high-speed lubricant for a smooth ride, and durable Navigator Drone trucks that are highly durable. Another excellent Sector 9 longboard, the Aperture Sidewinder is a favorite among longboard riders of all experience levels. Its beautifully designed drop through deck gives it a stability that is especially well-suited for those just starting out. Made with Sector 9’s own trucks, bearings, and wheels (which are renowned for their quality and durability) the Aperture Sidewinder is tough enough to handle beginner mistakes while remaining smooth enough to give them a fun and enjoyable ride. Reviews of the Aperture Sidewinder state the riders have had no trouble getting the board to carve and turn on a dime—an ease of control that is appreciated by experienced riders, but especially so by those who are just starting out, making the Sector 9 Aperture Sidewinder a great beginner longboard. The Yocaher Punked is a great, high-quality longboard whose two primary selling points are durability and affordability. Made with premium grade grip tape, a 7 ply maple board with deep wheel wells, Abec 7 chrome bearings, and aluminum alloy trucks, the Punked is an excellently constructed board that is built with an emphasis on rugged durability. Along with this, the Punked’s proven pintail shape is great for allowing fluid turns and easy carving. To complete the Yocaher Punked’s appeal, the board comes available in six different colors to choose from, each one of them beautifully stained into the maple deck. While they may be a little more cumbersome to carry around, there are some advantages to heavy, sturdy longboards. The Santa Cruz Lion God Rasta is most certainly one of these boards. Its weight and its effective drop through deck design make it ultra-stable, and its thick, sturdy deck makes it durable enough to support larger riders and survive punishing tricks. The bearings and wheels on the Lion God Rasta are both excellent, especially for a board in its price range, making the longboard turn and carve smoothly and fluidly. Add to this an attractive artistic design and you’ve got a longboard that is very worthy of purchase. Gold Coast has a reputation for making top of the line longboards, and anytime you can find a board from their catalogue that is as affordable as the Standard then it is worth snatching up. The Standard’s classic pintail shape and high quality wheels and bearings make this board able to turn and carve easier than most any longboard you will find. The 7 ply Canadian maple deck comes covered with durable deck tape for maximum traction, and the sturdy, heavy-duty trucks are built to last. All said, this is a great first longboard to consider, especially if you are looking for a good Gold Coast longboard. To start with, if you are a fan of great longboard deck art, then you will certainly appreciate the Yocaher Punked Graphic Pintail right from the beginning. This longboard comes available in seventeen different design options, and many of them are simply stunning. 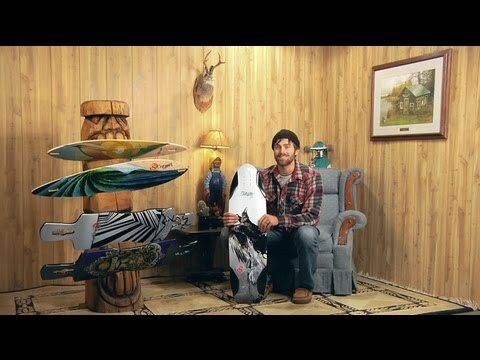 Besides looking great, though, the Punked Graphic Pintail has a reputation for riding like a dream. High quality wheels and bearings along with a classic pintail shape make the Punked Graphic Pintail able to turn, cut, and carve on par with a much more expensive longboard. Add to this a quality construction and a 9 ply maple deck that is built to take some abuse and you’ve got a longboard that is near perfect for beginners, especially those with a taste for a great artistic design. Next to the Super Cruiser, the Classic is one of the most popular boards in Quest’s catalogue, and there are plenty of good reasons why this board sells so well. To start, the Classic is extremely affordable, costing just under $61—a price that is difficult to beat for a quality longboard. Beyond this, however, the Classic rides as smooth as any beginner longboard you will find. The wheels on the Classic and its easy-to-turn pintail shape make the Classic a great longboard for quickly turning tight corners and carving down a hill. Its durable trucks and 7 ply maple deck add a rugged level of durability to the Classic, making it an excellent board to consider. Atom has a catalogue full of great options for beginner longboards, and the Drop Kick is yet another example of this. Known for making cheap longboards that ride like expensive longboards, Atom’s Drop Kick is an ultra-stable board with the wheels and bearing necessary to make it equally great at turning and carving. The coarse 46 grit grip tape, maple laminated deck, and reverse king pin trucks of the Drop Kick are all built to last, and several customer reviews have remarked on just how sturdy this board is. Along with this, the Drop Kick’s great graphics and an affordable price make it one of the best longboards for beginners. If you like having plenty of options as to what graphics go on your longboard, the Kicktail is the board for you. Available in twenty-nine different design options, the Kicktail is as much an expression of your own personality as it is a great-riding board. Along with looking great, the Kicktail comes equipped with high-quality wheels, bearings, and trucks that all make the board fun and easy to ride for a beginner rider. Add to this an affordable, under $100 price tag as well as a durable construction and the Kicktail becomes a great board for a beginner rider to consider. In order to get the most enjoyment out of starting out longboarding, you will want to purchase a board that has specific characteristics that are tailored towards beginners. Longboarding for beginners can seem challenging at first, however, with the right board, it can be a whole lot of fun. To begin with, you are probably going to want to purchase a longboard that isn’t all that expensive. There a number of great, cheap longboards available, and since you will very likely be eventually purchasing another longboard once you figure out your favorite riding style and other preferences, starting out with an inexpensive longboard is usually a good idea. Along with being affordable, the best beginner longboards are also easy to ride. Having a board that rides smoothly and turns easily makes starting out longboarding less frustrating and much more enjoyable. If you are wanting to travel long distances, a drop-through longboard is a good choice to consider as drop-through boards are more comfortable and stable on long distance rides. The easiest type of board to control, however, is a cruiser, which often comes in a pintail decks shape. If you are not sure what type of riding you will be doing, a freestyle longboard would probably be the best board for you to purchase, as they are a great, well-rounded style of board for beginners that lets a rider learn and adapt into their own riding style. Many beginners make the mistake of purchasing a cheaply made longboard from a knock-off brand simply because it costs less. Because of this, far too many people’s first experience on a longboard is unenjoyable and frustrating. In order to get the most out of longboarding, purchase a quality longboard from a quality company. There are plenty of affordable longboards made by reputable brands. Buy one of these as your first longboard and your start into longboarding will be much more enjoyable and fun. If you are just starting out longboarding, chances are you are going to have your share of falls. If you are traveling at very high speeds, some of these falls can be quite punishing. If, however, you are wearing the proper safety equipment such as a helmet, pads, and slide gloves, these falls will not be nearly as dangerous. Until you become an experienced rider (and, in all reality, even then) it is highly important that you purchase and wear the correct skating protective gear. You’ve seen videos of people carving down hills and performing amazing tricks, and now you’re ready to try for yourself. Starting out, however, chances are you’re not going to be able to ride as gracefully as you might imagine. You will probably have to start out slow and simple and advance forward as your skills increase. As with anything, practice is crucial, and with enough time you will be riding a longboard like a pro. Until then, be patient and practice often. Before you go out and buy the first longboard that catches your eye, take the time to learn about the various parts that make up a longboard, the various types of riding styles that longboard riders enjoy, and the tips and tricks necessary to really enjoy longboarding. Watch videos, read customer reviews, and browse through company websites. The more information you take in, the better equipped you will be to tackle the sport of longboarding. If done right, longboarding is most certainly a hobby that can be picked up and enjoyed by a beginner right away. By choosing the right longboard, one that is durable, affordable, and easy to ride, you will be able to get started on an adventurous new pastime and a great way to travel that you will be able to enjoy for many years to come.